new issue! and some changes. i have issue 8 in my hot little hands - posting to stockists next week. i have made some changes; most notably, the price. 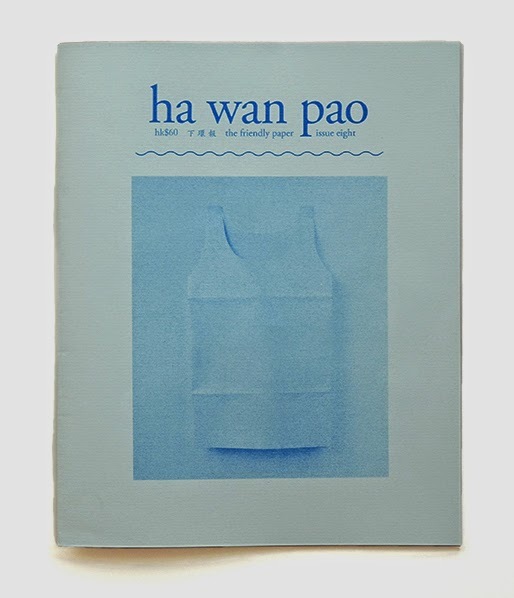 i started ha wan pao as a fun little project, to get out of the house and talk to people. i decided i would work for free and not pay my contributors. i have changed my mind and decided to pay myself and my contributors. so the price has gone up to hk$60. i also changed the format a little. i've made it thicker, more compact and given it a cover so as to be a little more robust. the content is the same. this issue has an interview with an ikebana practitioner and curator, a documentary comic publisher and a rare book dealer. there is a contribution from furze chan on what it is to run a shop and a photo essay by me of chinese paper offerings for the dead. on the cover is a paper singlet. in stores this wednesday 24th july. Issue 5 is out now: cover image by Furze Chan, centrefold is Yun Kut Lam's 1960's advertisement featuring actress, Cheung Chung Man. Interviews with Edith Cheung, Jacky Yuen, Alex Daye and Ellis Kreuger plus a look at Chihoi Lee's pencil collection. issue 4 out now! featuring don mak, chenmiji, shanghai street studios and kalun. here's where to find it.